The first few years of a child’s life, before they go into formal schooling, are some of the best years for making positive impressions and forming good habits that will carry them into successful, rewarding lives. We have found a few areas where teaching through play is so easy and makes an incredible impact on young ones attitudes throughout their lives. Helping children to make friends and be outgoing at an early age is very important. Encouraging them to play in safe environments and cooperate with teachers and children that are not part of their immediate families is one of the most important socialization skills. Overcoming shyness and lack of confidence is difficult so this is a vital networking skill that children will learn in preschool. 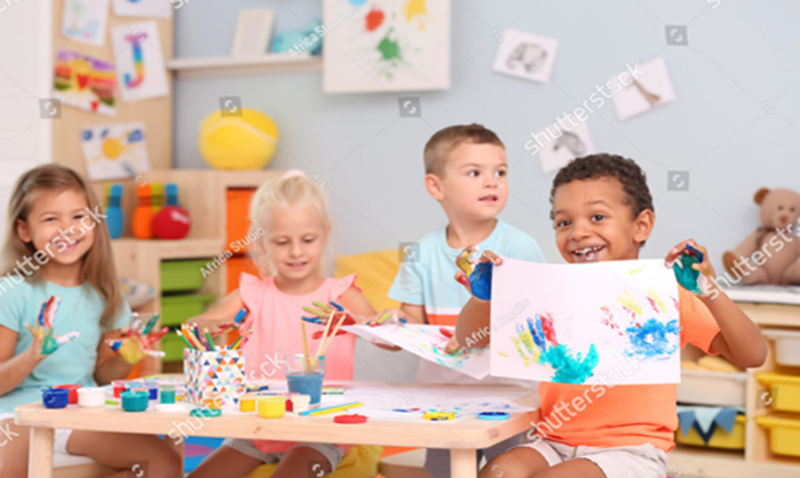 Encouraging children to play and enjoy children from every walk of life and from different ethnicities will create a well rounded, more tolerant and stable human being in later years. The importance of valuing difference and diversity amongst children is one of life's most crucial lessons. For children to understand that people from different parts of the world are interesting and bring with them wonderful cultural uniqueness. To succeed in today's fast paced world children will be far more confident in their own abilities if they have been encouraged and taught from an early age. In preschool children get to explore their talents without criticism and competition. This builds their self esteem! Helping friends and participating in group projects helps to grow their confidence and is a rewarding, happy time for them to make friends. Young minds are very active, and absorb knowledge like sponges, so it’s the perfect time to teach children to concentrate with things they love. Taking orders, following instructions and listening skills are all mastered at this young age. Frustrations with skills and relationships will occur and these are opportunities to teach patience. One of the early learning teachers jobs is to provide a challenging environment where children can explore and learn resilience through problem solving. Not winning every challenge is a very good way to build patience and resilience. Bumps, scrapes and bruises may happen from time to time in a controlled environment. Teaching recovery and strength through these challenges will develop coping mechanisms that are vital in our ever changing lives. Many of our activities are designed around teamwork which will then teach children respect for others efforts and opinions. Learning to work together and listen to others will prepare children to work in team environments and give them management skills for the future. Whether they are involved in sports teams or large companies later in life these are necessary tools to manage life successfully. One never stops learning in life so creating a joy around learning is a wonderful skill to experience. The love of learning is instilled very early on in a child. Whether it’s through nature, science, numbers, reading stories, or art the enthusiasm will be there through our teachers and their lessons. Early childhood educators are trained to see where individual children need a little encouragement. Supporting holistic growth of every facet of the child’s emotional, social, physical and mental development, will prepare them for their exciting futures.